Power of attorney legislation is different in every State and Territory. 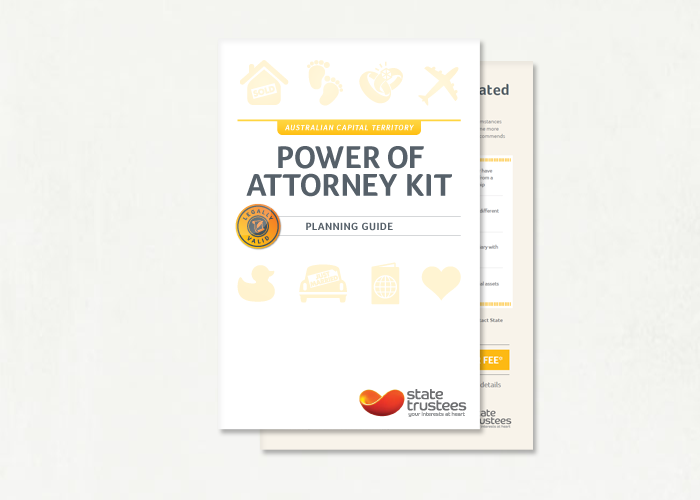 It is important to make sure you purchase the kit that has been designed for the State or Territory in which you live, as each State and Territory has its own laws for the types of power of attorney documents that are able to be used, how a power of attorney must be prepared, signed and witnessed, and how the power of attorney may be used. Buy hard copies of our products near your home. Please visit the outlet near you to purchase any of the above products. A separate, tailored Power of Attorney Kit is available for each jurisdiction in Australia. Downloadable PDF documents to print and complete at home. Victorian Power of Attorney compliant to March 2018 legislative change. 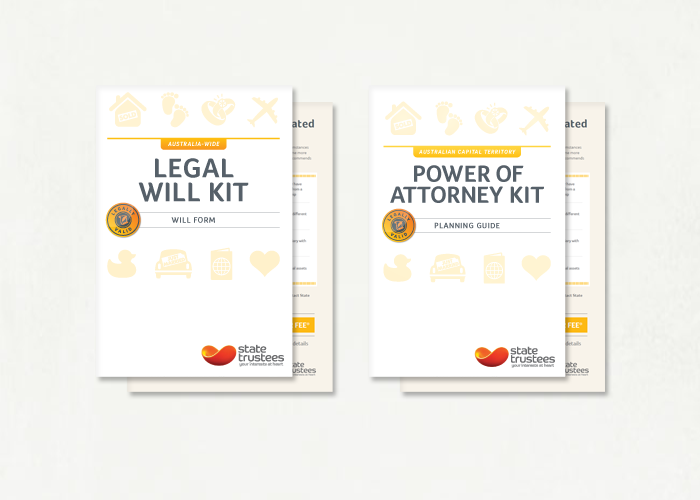 The Will Kit is valid for all jurisdictions in Australia. A separate, tailored Power of Attorney Kit is available for each jurisdiction in Australia.